ZTE in 2013: do smartphone designers dream of electric sheep? I popped down to ZTE’s pre-Chinese New Year lunch for journos in Hong Kong earlier this week to see what the world’s fifth largest smartphone maker had to say for itself. It’s not been an easy year for it or Shenzhen rival Huawei, who were both named as a national security risk in a US congressional committee report released at the tail end of 2012 in the bi-partisan hubbub typical of pre-election months. In addition, ZTE has been under lengthy investigation by the FBI on suspicion of selling embargoed US-made tech to Iran and then covering it up when found out. Then there were the false rumours of swingeing job cuts at the firm and a $5bn cash injection from the Chinese government. Despite its problems, however, ZTE remains on the move in the smartphone space, an innovator in telecoms infrastructure with its LTE offerings and has plans to grow the enterprise business despite the kind of government roadblocks put up in Australia, the US and now India. Head of handset strategy Lv Qian Hao battled manfully with the flu to show me the firm’s latest high-end handset, the 5.7in Grand Memo (no pics I’m afraid). It comes across as a smallish version of Huawei’s massive six-incher the Ascend Mate and probably benefits from not being quite as large – in other words I could just about use it as a phone without looking daft. In the rapidly developing smartphone space, specs like 13 megapixel camera, quad core 1.7Ghz Snapdragon processor and a 720p screen – specs which might once have elicited gasps of awe from the assembled masses – are now pretty standard at the high-end. This is no criticism of ZTE but it certainly makes its job of climbing up the smartphone rankings and a goal of 50 million shipments this year that bit harder. So where can it differentiate? Well, with high-end specs almost commoditised now, design is obviously one key area. With the best will in the world ZTE is not know for its beautiful design, but it’s hoping to change that with Hagen Fendler on board. Pinched from cross-town rival Huawei, Fendler’s appointment and a new design centre in Shanghai certainly serve to highlight the firm’s vaulting ambitions in this space. Fendler explained that his job is to create a design DNA which can be seeded throughout the firm’s handsets to help create a brand identity. It got off to a flyer with the launch at CES of the Grand S, an HD handset which at 6.9mm is currently the world’s thinnest. It won’t be an easy job creating handsets that are both beautiful and distinctively “ZTE” but with 400 staff working on design alone, they’ve as good a chance as any. It can be a frustrating time for a journalist talking to a designer, because so many of the concepts they tend to reference are abstract, ethereal and emotive rather than the nuts and bolts practicalities of engineering. However, Fendler did reveal that much of his design inspiration comes from outside the immediate environs of the smartphone space – from books, magazines and films. 1982 sci-fi classic Blade Runner was singled out for particular praise for sparking interesting ideas about “how humans interact with the technology around them”. 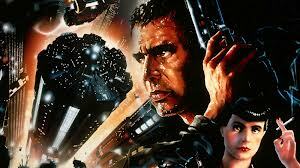 Just don’t expect to see the ZTE Blade Runner phone anytime soon. Actually, Google already got there with the Nexus, didn’t it?